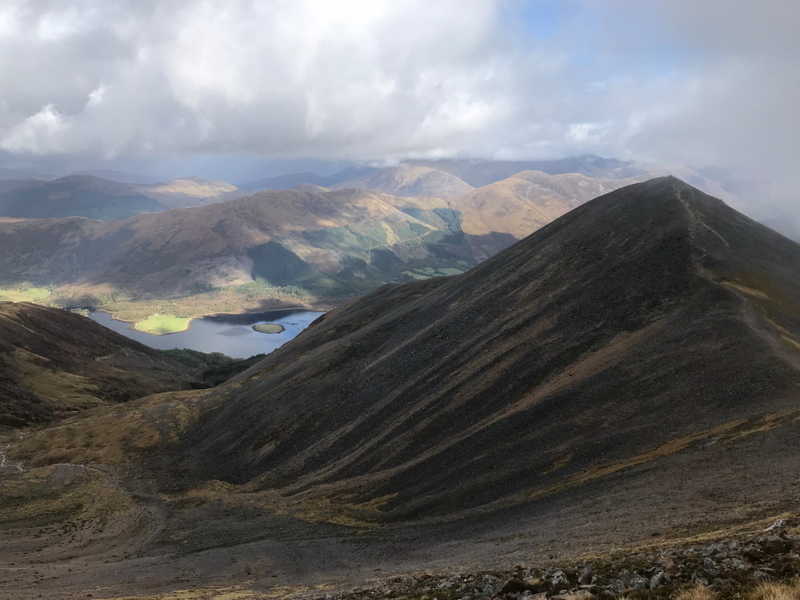 On Friday morning I travelled from Glencoe to South Ballachullish for an ascent of Beinn a' Bheithir. 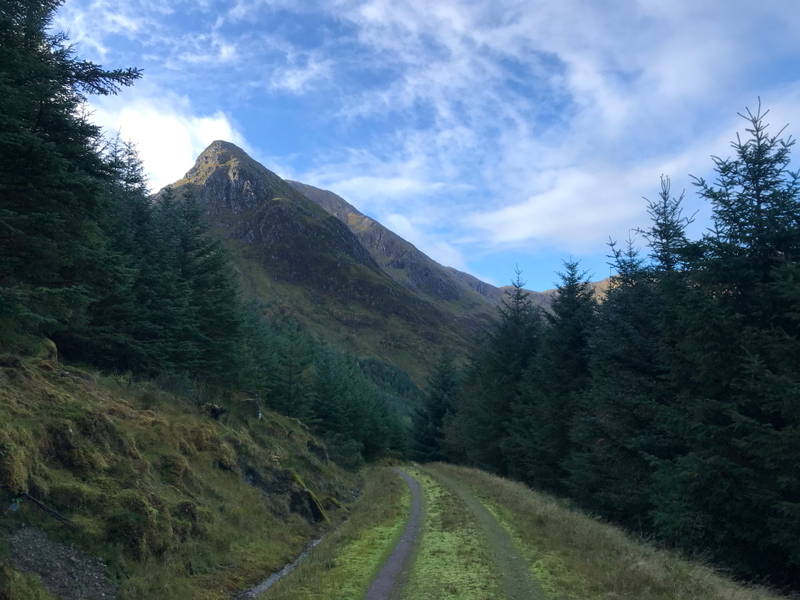 I parked in the Gleann a' Chaolais car park before setting off along the forestry track. Shortly after setting off I met a couple of lads from Aberdeen who I walked with as far as the summit of Sgorr Dhearg. 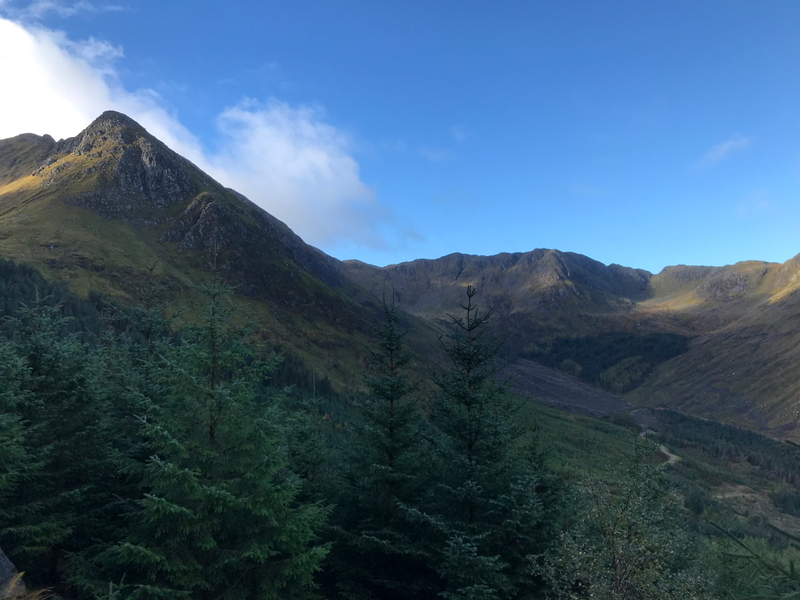 On reaching the waymarked track junction we opted to take the track heading towards Sgorr Dhearg with a view to gaining the ridge at the bealach between Sgorr Dhearg and Sgorr Dhonuill. The good quality track heading up through the forest is also waymarked. Views are mostly non-existent while within the forest with the occasional exception. 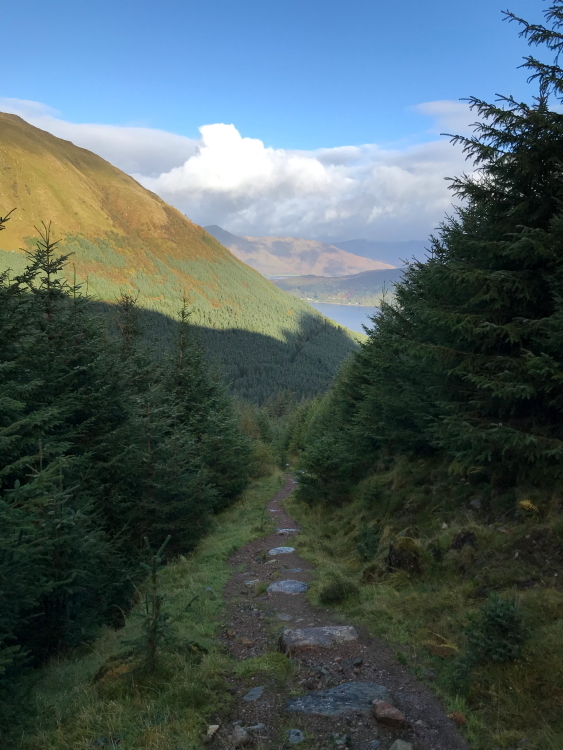 Once out of the forest I followed the path leading to the bealach. The SMC book suggests that in wet weather the upper part of this path becomes a watercourse. The path is certainly not fantastic. On reaching the bealach I stopped for a drink before commencing my ascent of Sgorr Dhearg. 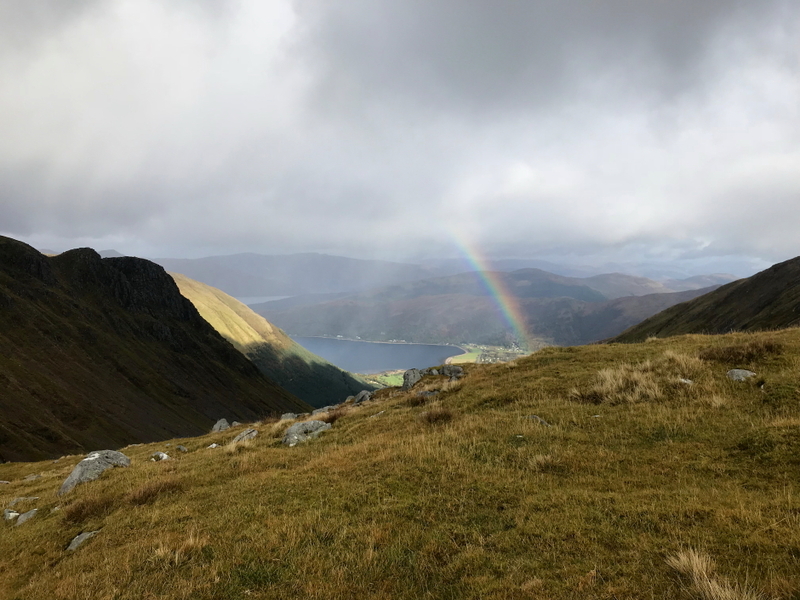 The weather thus far had been fairly good but henceforth it would be mixed with spells of sunshine, rain showers and hail showers. 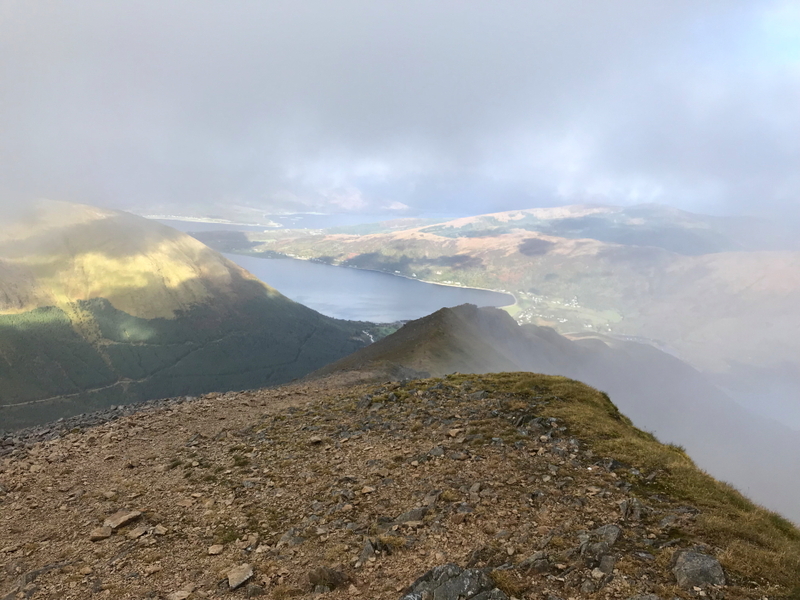 On reaching the summit of Sgorr Dhearg the views were limited. 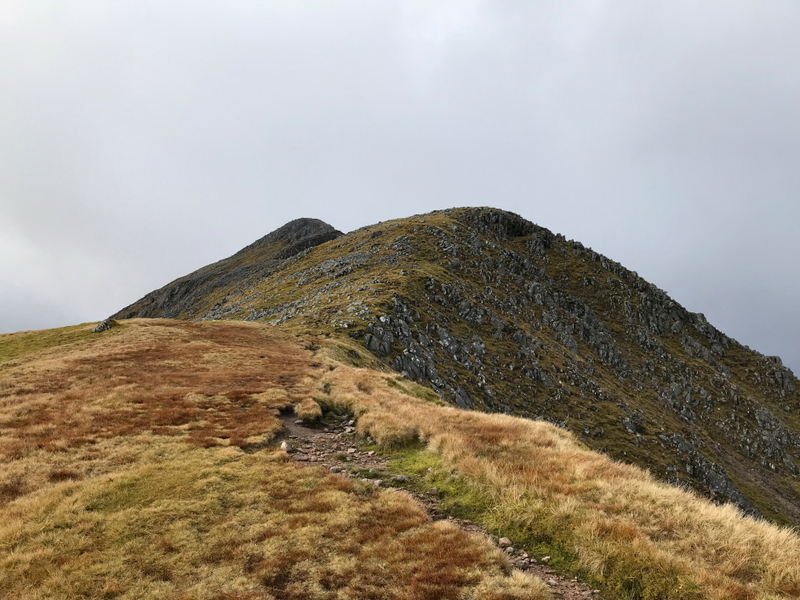 After taking a photo of the two lads at the summit I said goodbye as I would next ascend Sgorr Bhan, a Munro Top, while the two lads headed back to ascend Sgorr Dhonuill. 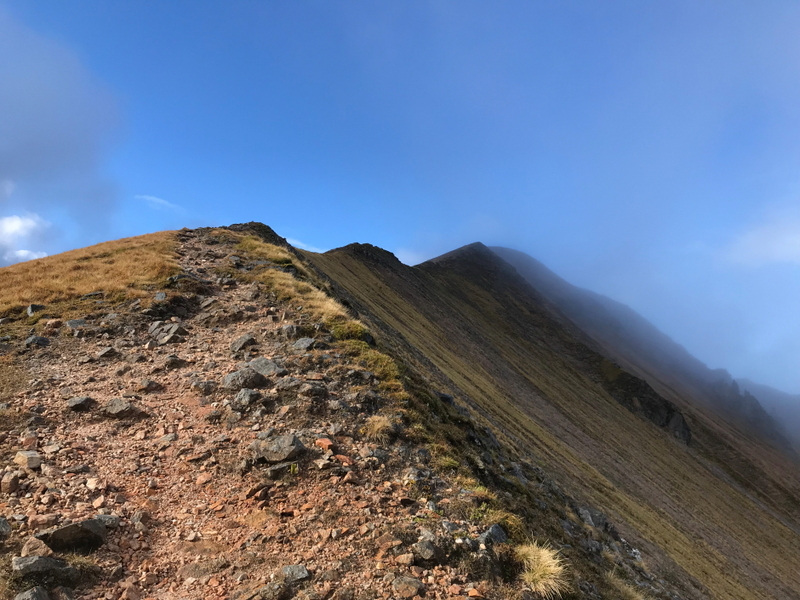 The ridge leading out to Sgorr Bhan was pleasant. It did not take long to reach Sgorr Bhan. 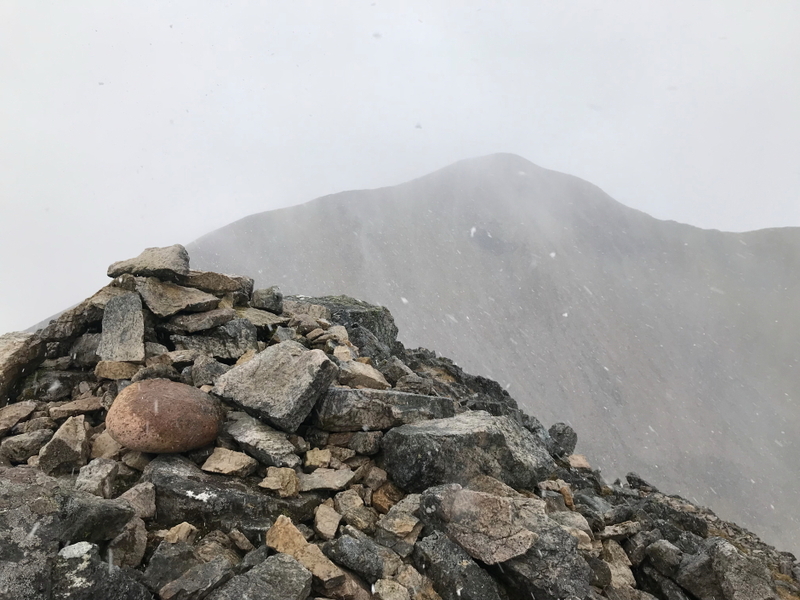 On reaching the summit of Sgorr Bhan I had to endure around ten minutes of hail. Ten minutes later it was back to blue sky. 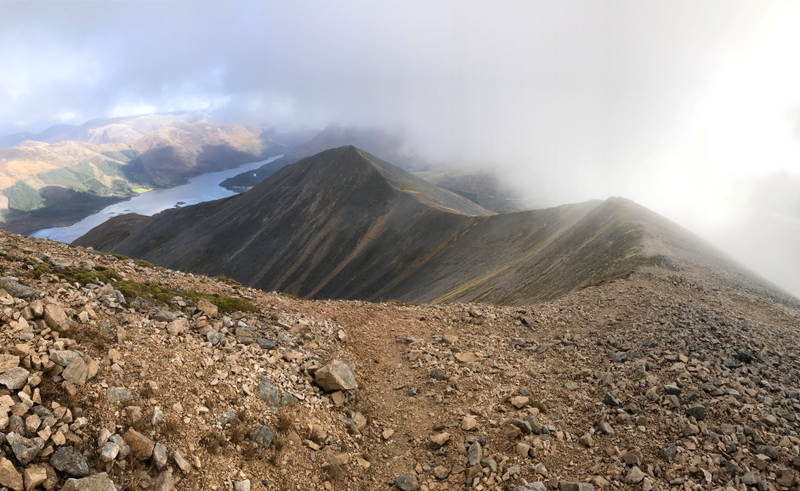 The downside to this out and back route, as opposed to undertaking a circuit, was the need to again summit Sgorr Dhearg. 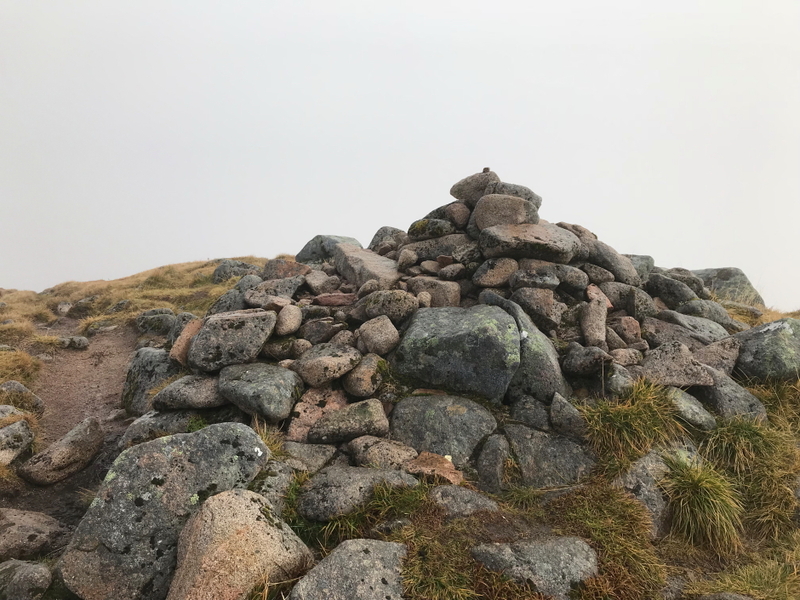 It was however worth doing so as on gaining the summit for a second time there was less cloud and improved views. 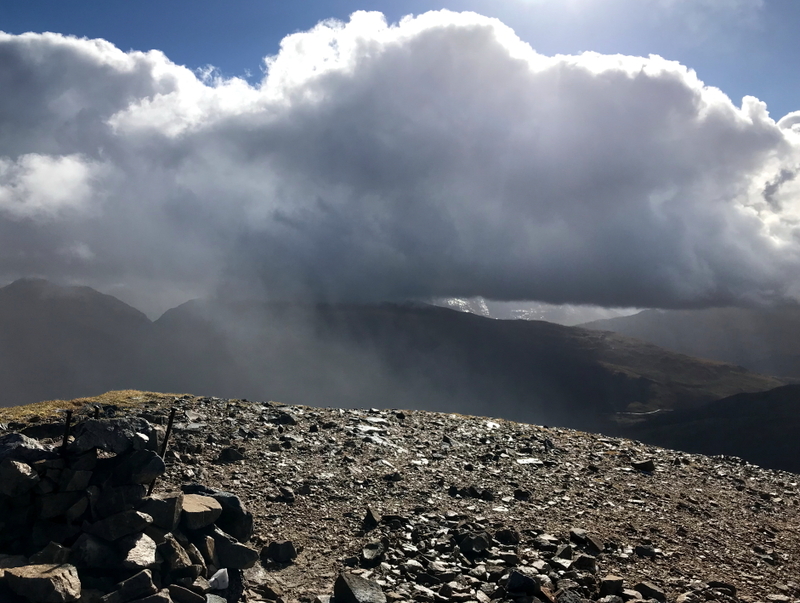 While at the summit of Sgorr Dhearg for a second time I could see a cloud depositing rain just a short distance away. Fortunately it passed by without depositing any of its rain on me. 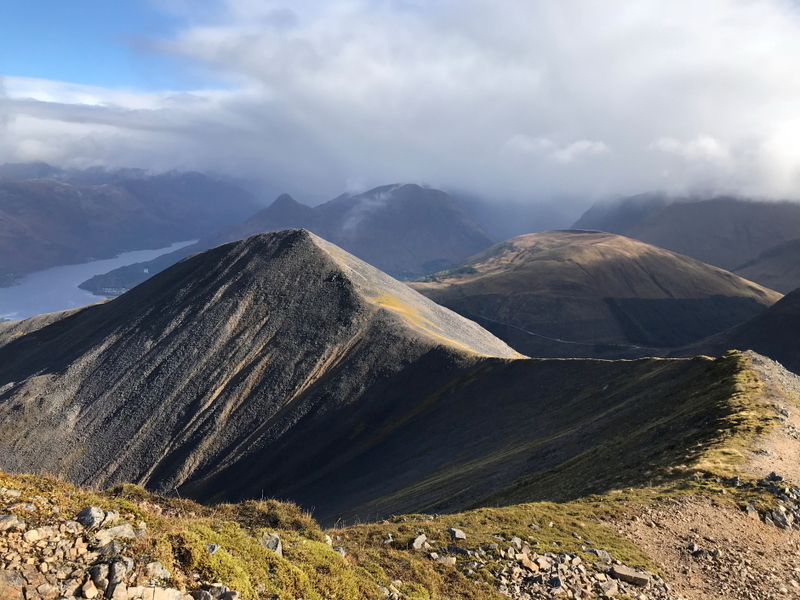 From the summit of Sgorr Dhearg I made my way back down to the bealach before commencing my ascent of Sgorr Dhonuill. The cloud had now disappated providing my first views of this shapely peak. 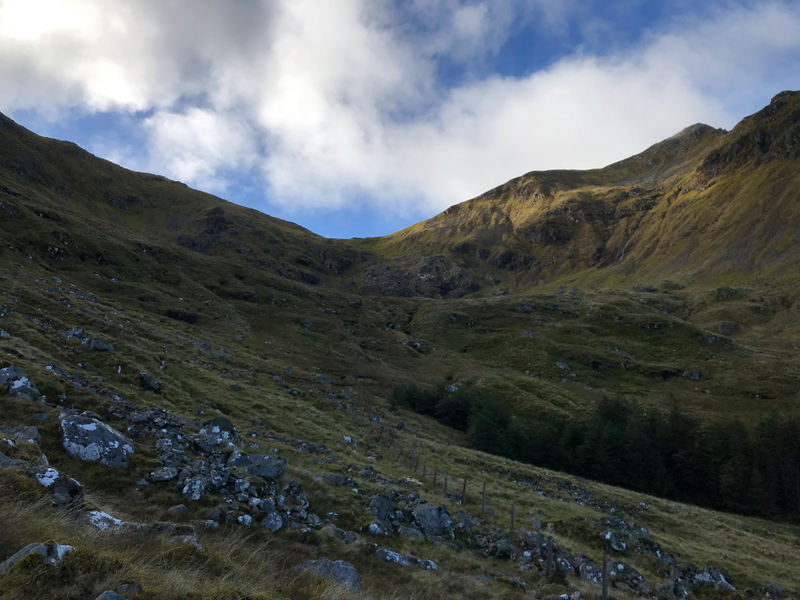 The ascent of Sgorr Dhonuill is a little steeper than the ascent of Sgorr Dhearg but there are no difficulties until reaching the final steep, rocky section. 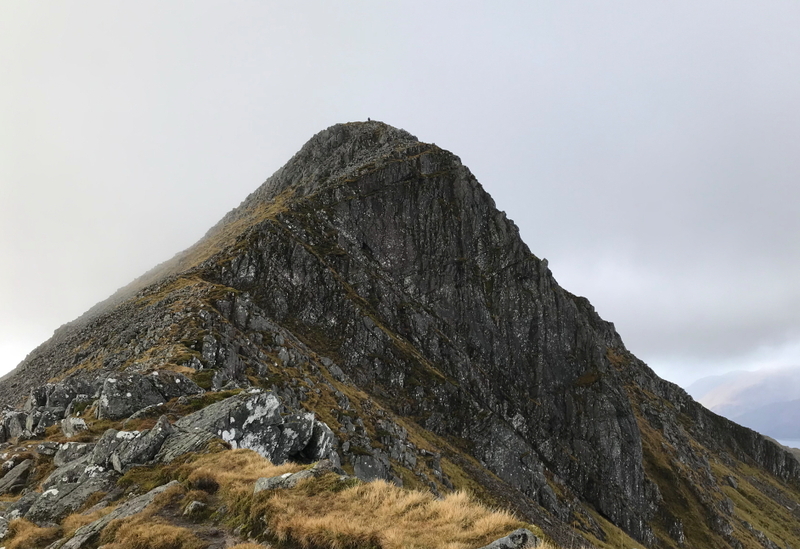 The final ascent of Sgorr Dhonuill looks quite imposing. It is however easier than it looks but care is needed as in places a slip could prove fatal. 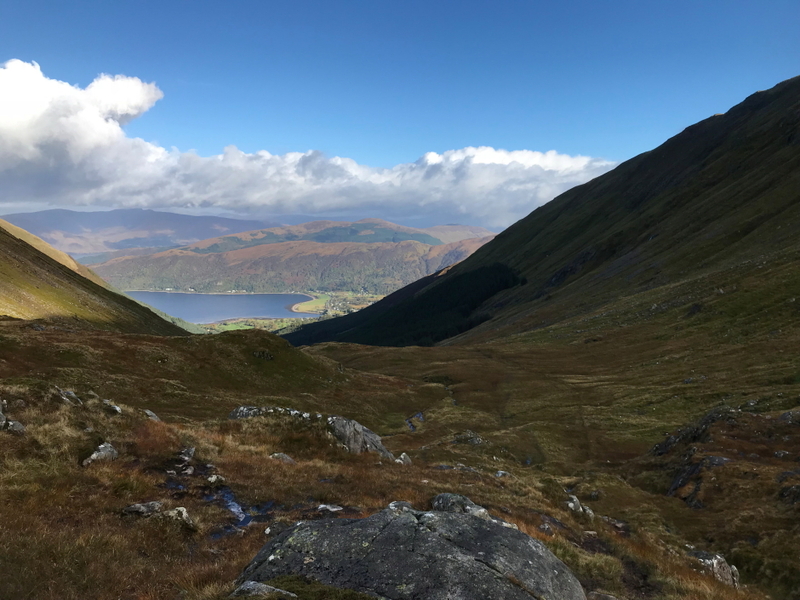 While ascending this final steep section I again met the two lads from Aberdeen with whom I had walked earlier in the day. 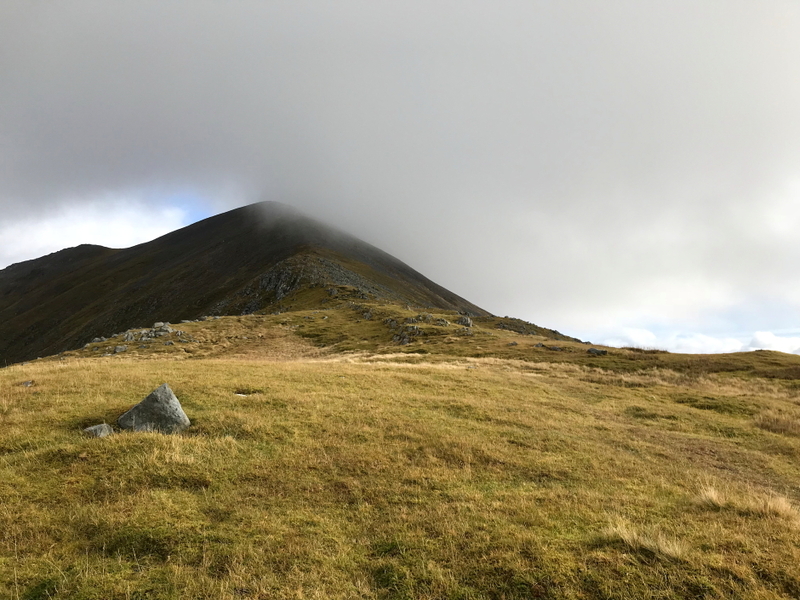 As per my ascents of Sgorr Dhearg and Sgorr Bhan, on reaching the summit of Sgorr Dhonuill it was capped in cloud providing zero views. I was lucky to spot a Brocken Spectre but by the time I got out my phone to take a photo it had vanished. 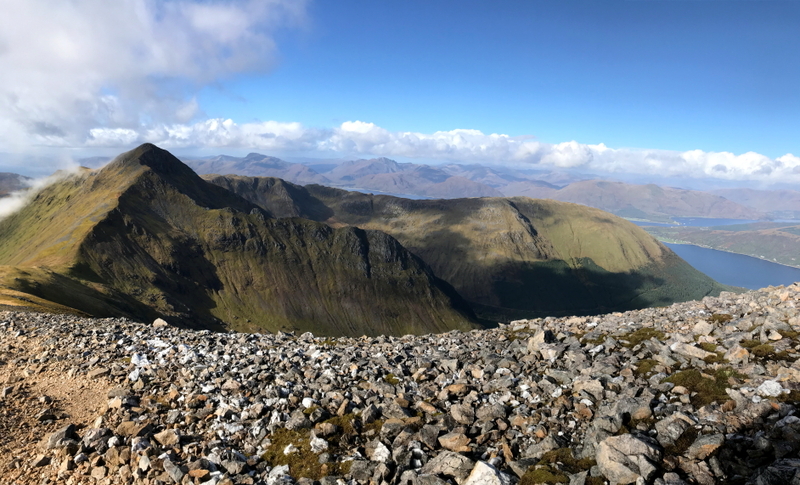 From the summit of Sgorr Dhonuill I returned to the bealach before returning to the car via my inbound route. The descent from the bealach was not pleasant as it was raining and indeed the path had become a stream. It was nice to eventually get back into the forest and onto good track.